I’ve never been an outstandingly patient person but sometimes when there’s money involved it easy to wait. 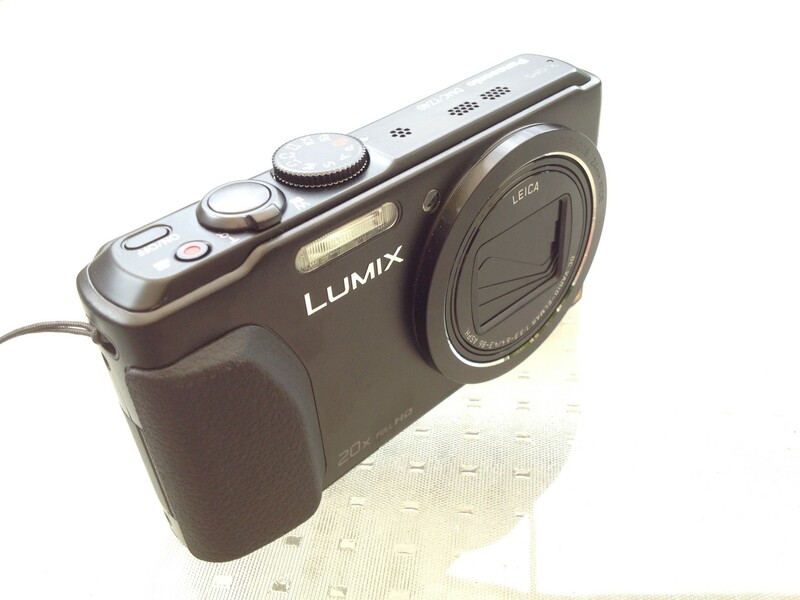 Back in early 2012 prior to our epic Malaysia, Hong Kong, Singapore trip we bought a Panasonic Lumix FT3 – the rationale was simple, it was small, rugged, waterproof and reviewed very well. It usurped our Canon cameras at the time thanks to size and both the Canons were getting old. I’d also harboured the idea of buying a Super Zoom compact as well, setting my heart on a Nikon S9200 – a model barely released – and ultimately it just wasn’t available during our trip at a price I was prepared to pay. The FT3 has travelled with us, we’ve lost the original battery and the two no-brand ones are getting a bit tired, it’s got scratches and scrapes from falls but it just keeps on going. It’s spent 6 weeks in Vanuatu, snorkelling and trekking, finally the humidity taking a toll and the camera suffering condensation internally, but a few days in the sun have that all cleared up once more. So now with the Malaysian F1 looming and my budget trip planned I was revisiting the idea of a new camera. There’s nothing wrong with the old FT3 – except the super tough brief meant Zoom was sacrificed and for F1 where the action is a little further away Zoom would be good. Enter the search for a new Super Zoom compact. Again size was an important factor, and immediately I looked into the Nikon and Canon offerings, The Nikon S9500 or Canon SX280HS immediately sprang to mind but after reading a few reviews I was forcing myself into a bigger choice, there are quite a few good compact super zooms out on the market, but my own budget (No more than AUD300) meant that I’d need to be doing some bargain shopping to get what I wanted. Since the advent of digital cameras there’s been a yearly new-model cycle – when I was looking for the S9200 I was looking to buy at the start of a model cycle, but this time with my availability lesson learnt I was going to buy an End-of-Model runout. So off the the various retailers I went, knowing the basic specs and models meant I was really just trying to identify the camera that felt nice in the hand and fitted the budget. In the end it was another Panasonic – the Lumix DMC-FZ40 that fitted the best. Not only had it consistently reviewed well but it also felt nice in the hand. The familiar user interface helped push it over the line. I paid AUD293 compared to the RRP of AUD399 (saving over 25%), got all the features I wanted and have it ready to travel. There were a couple more surprises in this – firstly I bought from a Bricks’n’Mortar retailer during a “sale”, secondly online discount resellers simply were not price competitive. In fact if you took into account the risks of getting non-Australian stock, which may or may not have the Panasonic International Warranty that we get here then buying online was at least 10% more expensive! Sure all the 2014 generation Super Compacts have taken a bigger step forward, the lenses are now pushing out towards 30x (from the ~20x of the 2012-2013 generations) but are they that much better? The replacement for the TZ-40 is the TZ-60 – with a launch RRP of an eye watering AUD549 is a great camera I’m sure but I doubt it’s over AUD250 better! The price difference is roughly half my ticket costs! Well I wouldn’t go as far as saying I love it, I’ll save that for the day when I am truly blown away by a camera, but for the most part the reviews are honest. The Panasonic Lumix TZ-40 does everything well, just like all the other “numbers driven” super-zooms there’s flaws with the premise and the performance, but there’s a lot of camera in a tiny price. Unlike a lot of reviewers I must have a steady hand technique as I’m able to use the full zoom to capture distant scenes, it’s not the easiest I admit, the same amount of zoom on the 300D is easier to shoot with thanks to the bulk of the camera providing stable grip points, but using a mini-tripod or adapting a GoPro grenade grip would work really well. 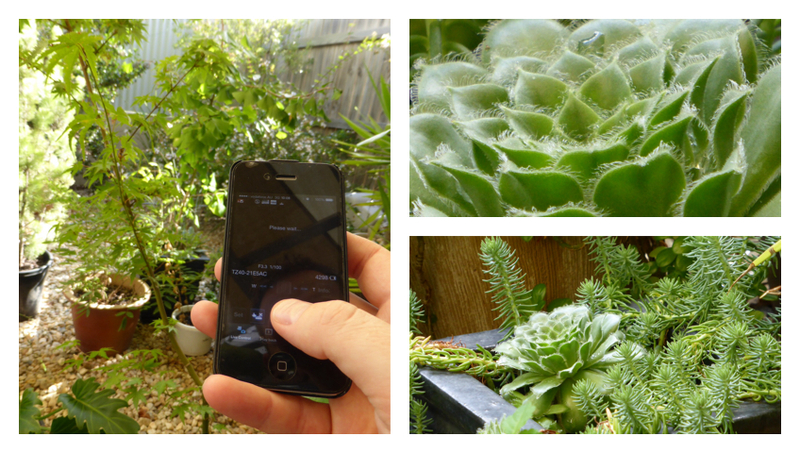 The iPhone app is a little clunky but for tripod mounted shots, it’s workable. It would be good if later versions of the App saved the images into their own Camera Roll rather than blending with the rest of the photos in the iPhone. A 3-shot tiled image made by the Panasonic Image App. The composite picture above shows some of the zoom capabilities, all shots taken from the same point, letting the iA mode do it’s own thing. Naturally I’ve only taken a few pics so far, and the real test starts in two weeks when I hit Malaysia.